Demonstration printed by Mr.Ito is performed. And his workshop is held. 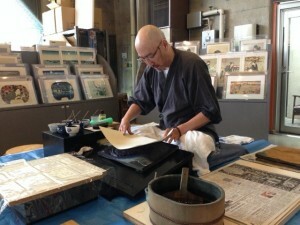 Tatsuya Ito, the printer ～　He contributes for reproduction of Ukiyoe. He also produces the workshop in foreign countries. The special exhibition showcases painted fans, that were used as props or for advertising, and were all the rage during the Edo Period. 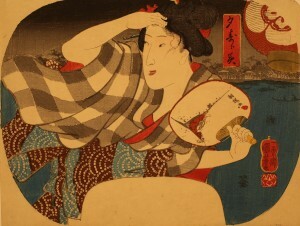 These painted fans brought “ryo” (cool) and depicted various summer themes by Hiroshige, Kunisada, Kuniyoshi, and others. 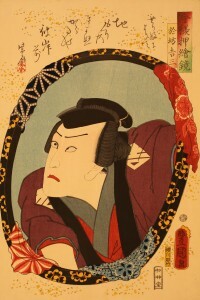 In addition, in what has become the annual “Shinshu Matsumoto Okabuki”, this year’s performance, “Sannin Kichisa” is centered on ukiyo-e. Sharaku’s realistic woodblock prints of actors and everyday life will be shown. 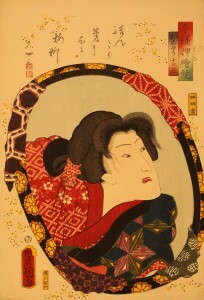 The performance focuses on the appeal of the brilliance and excitement of kabuki pictures. 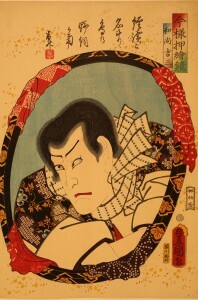 JAPAN UKIYO-E MUSEUM All Rights Reserved.